Does the Library have Wi-Fi®? Yes, the Library does have free Wi-Fi® (wireless internet connection). Those ages 18+ may request the password at the circulation desk. How old does someone have to be to get a Library card? A patron must be at least 5 years of age to get a library card. Only those ages 16+ may register for a card without a parent’s signature. Those signing for a card must present valid photo ID and proof or address demonstrating residence in the County (i.e. driver’s license, SC identification card, passport). All forms are to be completed at the Library. I do not live in Calhoun County. Can I still register for a library card? Yes! 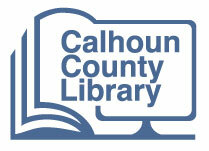 For those not residing in Calhoun County, temporary cards are available at a rate of $5 per 3 months or $20 per year. These cards function the same as traditional library cards for their allotted time period. $0.10/day for books, audio books and magazines. $0.50/day for videos. Book, magazine and audiobook fines reach a maximum of $2.00. DVD fines reach a maximum of $5.00. Fines for seniors are waived. How many items am I allowed to have checked out at a time? 50 items in total but a maximum of 5 videos, 10 magazines, and 15 audiobooks at a time. How long can I keep items out? 2 weeks(14 days) for books, audio and magazines. 1 week (7 days) for videos. Holds are a tool that the Library uses to reserve items for patrons from our locations and other libraries that allow us to use their items through SCLENDS. Placing a hold lets staff at a particular library know to secure that item and send it to the requesting library. Once holds arrive, you are notified and it will be held for 7 days. Can I send/receive faxes at the Library? Yes. To send a fax is $0.50/page. To receive a fax is $0.15/page.